Why is there a craze for “foreign” goods? Why don’t we use and promote ‘Made in India” i.e. swadeshi products just like the father of our nation advocated? If a foreigner is using something, does it make the product superior? Why ape the west? 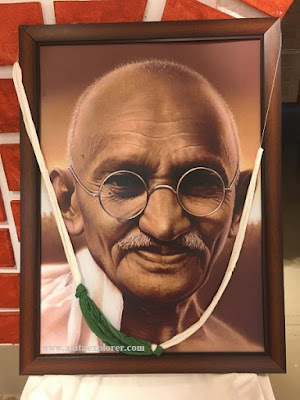 In Hind Swaraj, Gandhiji expressed the urgency to use swadeshi things and contribute to make India exploitation-free. The East India company forced the Indian weavers to cut off their thumbs so that they would be unable to weave. The British increased the export of their mill-made cloth. Indians were compelled to buy machine-made products. Raw materials from India were exported to England at cheap prices and then imported to India as expensive finished cloth, depriving the local population of work and profits. This ruined the Indian handloom industry that was once the envy of the world. “If we would get rid of the economic slavery, we must manufacture our own cloth." 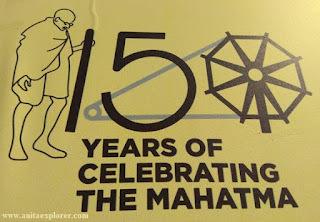 Gandhiji’s efforts encouraged the practice of swadeshi and the use of things produced locally. Reduction in dependency on foreign materials and real independence became possible. Our choice makes a difference. In this 150th year of Gandhiji's birth, can we live up to what Gandhiji advocated and choose to be the change? Do you have at least one handloom garment in your wardrobe? I think often it comes down to price - stockists go where prices are lower.